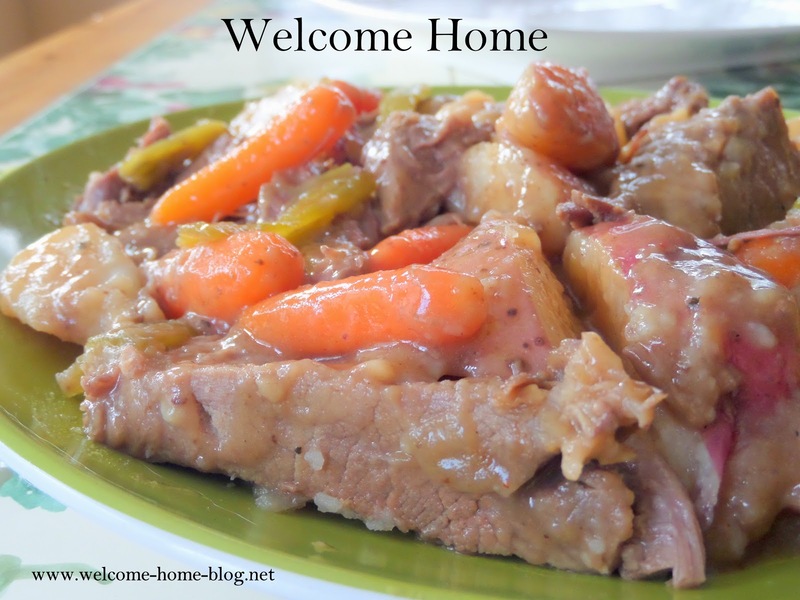 When I think of comfort food, I immediately think of pot roast. 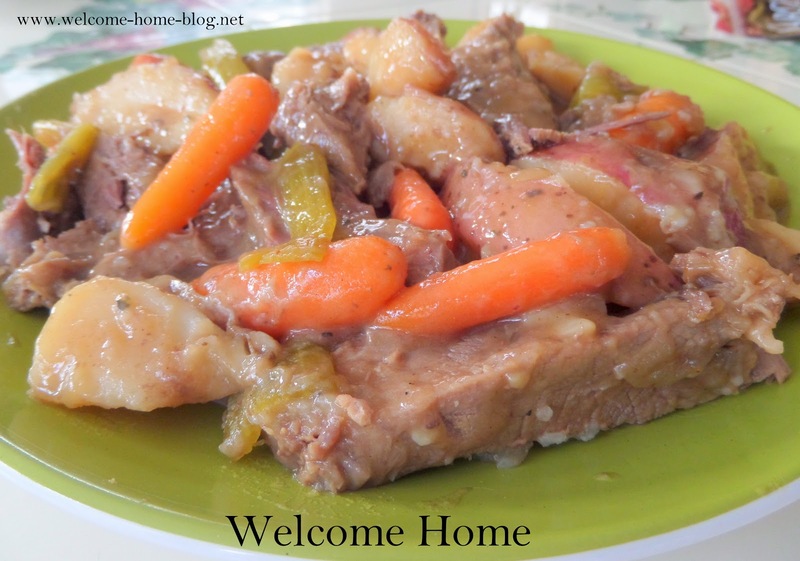 Tender beef and vegetables with a smooth thick gravy. Maybe some crusty homemade bread and a nice salad...yum. That's what I'm having on this cold winter day...it's cooking now and my house smells wonderful! Place uncooked bacon across the bottom of the empty crock pot. Arrange potatoes and carrots over the bacon. Sprinkle lightly with salt, pepper, and half of the thyme. Place the pot roast on top of the vegetables, then add the onions all over and around the roast. Sprinkle lightly with salt, pepper, and the remaining thyme. Combine beef broth and tomato paste; pour over the pot roast. Cover and cook on LOW for 8 to 10 hours. Once the roast is fork tender, remove to a warm platter. With a slotted spoon, remove vegetables and arrange around the roast. Cover with foil to keep warm while making your gravy. Skim fat off the top of the broth; discard fat. Put the broth in a saucepan and bring to a boil; reduce heat to medium and simmer for 5 minutes. In a cup of small bowl, whisk cornstarch with water until smooth. Whisk the cornstarch mixture into the broth until thickened and bubbly. Serve gravy with the meat and vegetables. I totally agree...this screams comfort to me!! And, I think pot roast in a crock pot is awesome!! Thanks for sharing this.